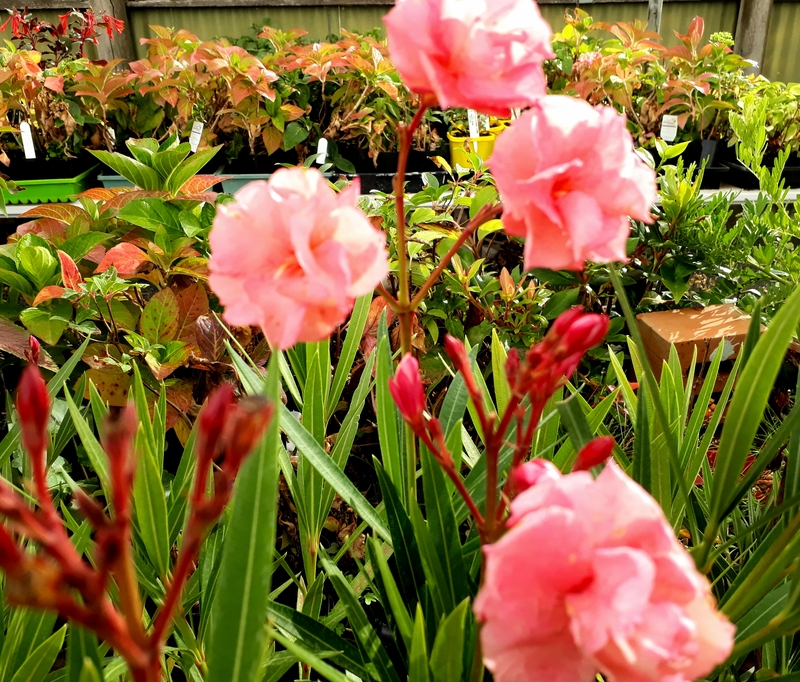 The scented triple flowers of this beautiful Oleander are softly colored with pink, peach, yellow, and orange with the colors intensifying under increased temperatures. This is a semi-dwarf Oleander that is suitable for large containers as well as the shrub border. Mrs. George Roeding originated from seed that was said to have came to the US from Japan around 1905. It has better than average cold hardiness. Large, tall evergreen shrub to 3 mtrs H x W.
Some people believe oleanders should not be grown in gardens because they are poisonous. This is a misinformed belief. 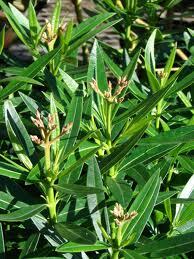 Whilst oleander (Nerium oleander) is poisonous, it is no more dangerous than many other garden plants. 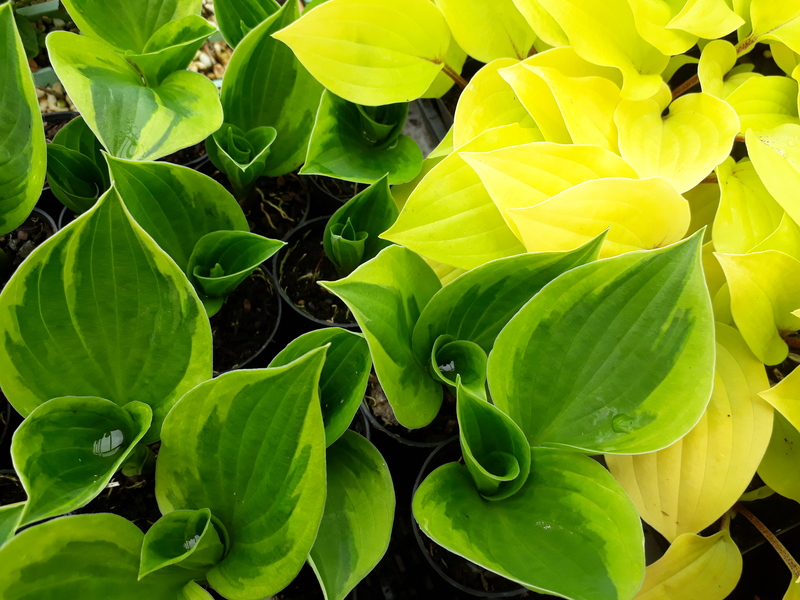 In general, the stories about poisoning from the plant have been found to be myths. 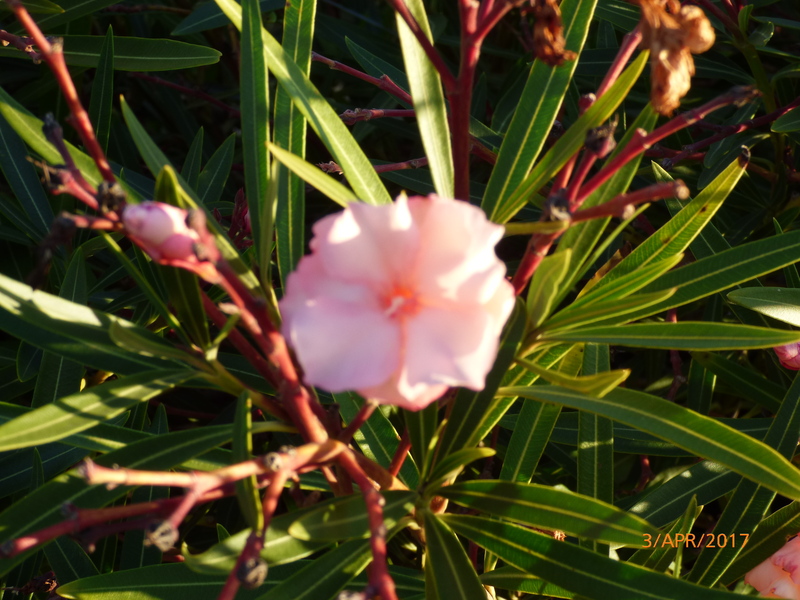 Indeed, records from the Poisons Information Centre suggest that there have been no serious injuries or any deaths attributed to oleander (Nerium oleander) in Australia. But yes I would not go putting the leaves in your salad.